According to some estimates, since 1960s, Saudis have funnelled over USD 100 billion into funding schools and mosques all over the world. Washington: About 24,000 ‘madrassas’ in Pakistan are funded by Saudi Arabia which has unleashed a “tsunami of money” to “export intolerance”, a top American senator has said adding that the US needs to end its effective acquiescence to the Saudi sponsorship of radical Islamism. Senator Chris Murphy said Pakistan is the best example of where money coming from Saudi Arabia is funneled to religious schools that nurture hatred and terrorism. “In 1956, there were 244 madrassas in Pakistan. Today, there are 24,000. These schools are multiplying all over the globe. These schools, by and large, don’t teach violence. They aren’t the minor leagues for al-Qaeda or ISIS. But they do teach a version of Islam that leads very nicely into an anti-Shia, anti-Western militancy. “Those 24,000 religious schools in Pakistan thousands of them are funded with money that originates in Saudi Arabia,” Murphy said in an address yesterday to the Council on Foreign Relations, a top American think-tank. According to some estimates, since the 1960s, the Saudis have funneled over USD 100 billion into funding schools and mosques all over the world with the mission of spreading puritanical Wahhabi Islam. As a point of comparison, researchers estimate that the former Soviet Union spent about USD 7 billion exporting its communist ideology from 1920-1991. “Less-well-funded governments and other strains of Islam can hardly keep up with the tsunami of money behind this export of intolerance,” Murphy said. “The uncomfortable truth is for all the positive aspects of our alliance with Saudi Arabia, there is another side to Saudi Arabia that we can no longer afford to ignore as our fight against Islamic extremism becomes more focused and more complicated,” he said. “The United States should suspend supporting Saudi Arabia’s military campaign in Yemen, at the very least until we get assurances that this campaign does not distract from the fight against IS and al-Qaeda, and until we make some progress on the Saudi export of Wahhabism,” he said. Murphy demanded that Congress should not sign off on any more US military sales to Saudi Arabia until similar assurances are granted. He said that the political alliance between the House of Saud Saudi Arabia’s ruling royal family and orthodox Wahhabi clerics is as old as the nation, resulting in billions funneled to and through the Wahhabi movement. The vicious terrorist groups that Americans know by name are Sunni in derivation, and greatly influenced by Wahhabi and Salafist teachings, Murphy said adding that leaders of both Democratic and Republican parties should avoid the extremes of this debate, and enter into a real conversation about how America can help the moderate voices within Islam win out over those who sow seeds of extremism. Neo-Kharjism can only be eliminated by completely shunning Takfirism. Radicalised Muslim youth joining the Tehreek-e-Taliban (TTP) in Pakistan or the Islamic State of Iraq and Syria (ISIS) to attain what they call “istishhad” (martyrdom) is not a recent phenomenon. The emergence of Kharjism in Islam in its early phase was the first brutal and bloodthirsty incarnation of religious extremism among Muslims. Ibn Muljim, the founder-ideologue of this fanatic faction, went to the extent of killing Prophet Muhammad’s son-in-law Hazrat Ali in his crazy bid to “purify” Islam. Kharjism is based on Takfirism — declaring all others, that is non-Muslims, kafir (infidel). Faith-inspired terror in Islam began with the rise of Kharjism. Ibn Kathir and Tabri, the two earliest authorities on Islamic history, tell how Kharijites peddled hatred, intimidation, violence and terror. The early Kharijites terrorised civilians in Nahrawan, a part of Iraq then, because they did not accept their coercive creed. Whoever, Muslim or non-Muslim, went against the Kharijite puritanical understanding of Islam, had his/her throat slit. Walking in the same “puritanical” footsteps of Kharijites, the present-day jihadists have declared all those who differ from or even doubt their desiccated faith as mubah al-dam (whose blood can be shed) and wajib-ul-qatl (whose killing is mandatory). Thus, the ISIS, Al Qaeda, Boko Haram, TTP and all other jihadist outfits strictly subscribe to the puritanical, radical Kharjism. Abu Bakr al-Baghdadi’s order to kill all those who celebrated Id last year was no different from the Kharijite ideologue Ibn Abd al-Wahhab’s fatwa that whosoever celebrates any cultural or religious festival “should be killed, their wives and daughters violated, and their possessions confiscated”. There is no difference between Kharjism and modern-day jihadism. The growing number of young Muslims joining terror outfits like the ISIS, Al Qaeda, TTP or Boko Haram are inspired by the very well worked out Kharijite theology being installed in radicalised madrasas. 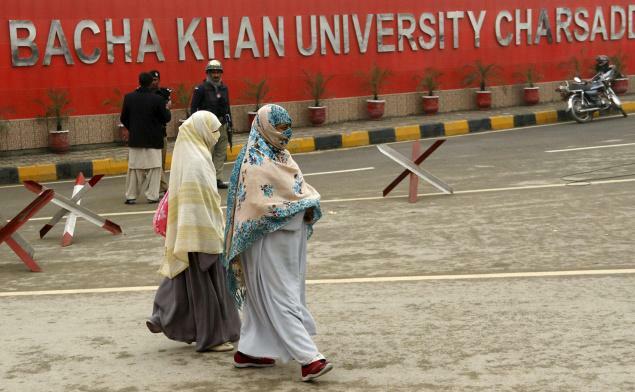 The wanton killing of students in Bacha Khan University in northwest Pakistan, leaving 20 dead, has deeply pained us all. 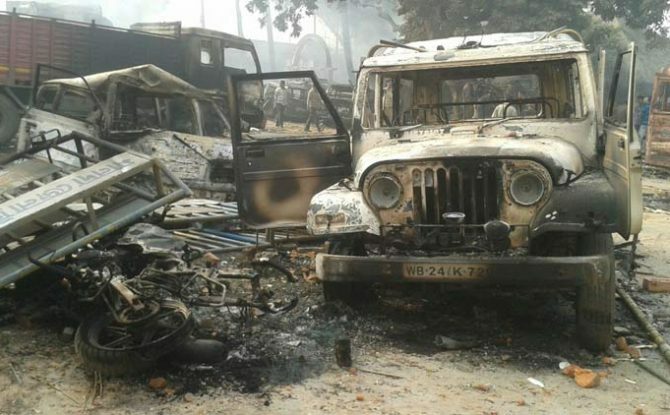 It was carried out by the Talibani religious zealots with a gross violation of peaceful Islamic principles. Mainstream Muslims need to brainstorm why the extremist indoctrination of the Muslim youth and madrasa pupils by the TTP in Pakistan, ISIS in Syria or by its jihadist ilk in other countries is succeeding. Throughout Islamic history, Kharjism-inspired doctrines have encouraged radical Islamists to take up arms against non-combatant civilians. The Kharijites have always rejected any kind of reconciliation with people of other faiths, and remained hell-bent on complete cessation of all other creeds, sects, systems of governance, modes of education and even multicultural traditions. The silence of a large number of Muslim leaders on the historical nexus between violent extremism and Kharjism, the first radical movement in Islam, is surprising. Very few Islamic clerics or heads of Muslim seminaries have, so far, identified the relation between extremism and the misreading of Islamic scriptures. As a result, Kharijism-inspired extremism is now spinning out of control. The entire Muslim community, and especially moderates, need to rethink their strategy to defeat the vindictive Kharijite-Talibani ideology. They could begin by asking why it is still being taught in Pakistan’s Wahhabi seminaries, despite the serious threat it poses. But, at the same time, it is heartening to note that over 100 heads of Sufi shrines of India have formed the “World Sufi Forum” (WSF), bringing together spiritually-inclined leaders of all faiths and traditions from various countries to strengthen the cause of peace, tolerance, dialogue and de-radicalisation. 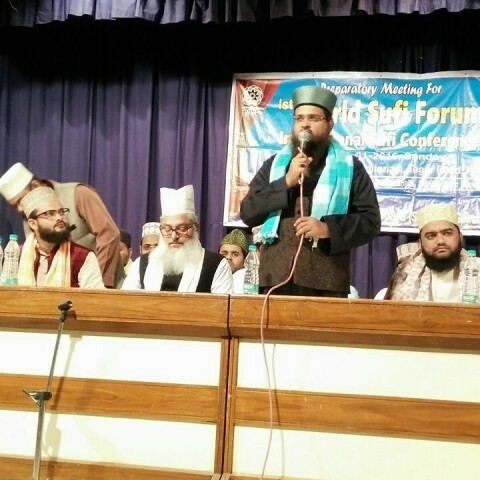 An initiative of the All-India Ulema and Mashaikh Board, an apex body of the Indian Sufi Sunni Muslims, the WSF aspires to constantly engage in Sufism-inspired Islamic discourses and divergent contemporary debates to enlarge the ambit of approaches to counter extremism. It will also launch a campaign to educate Muslim youth about multiculturalism, plurality, unity in multiplicity and other glorious facets of Indian compositeness. 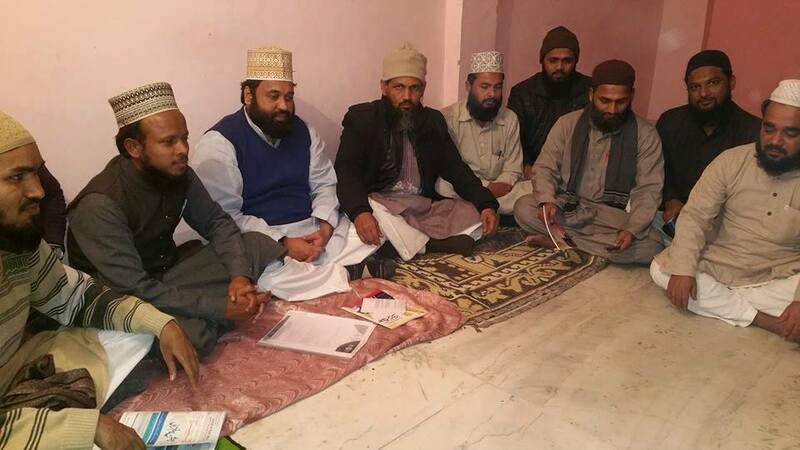 More noticeable development in the community is that a number of Indian madrasas are beginning to counsel their students against the vices of extremist groups like the ISIS and Taliban. 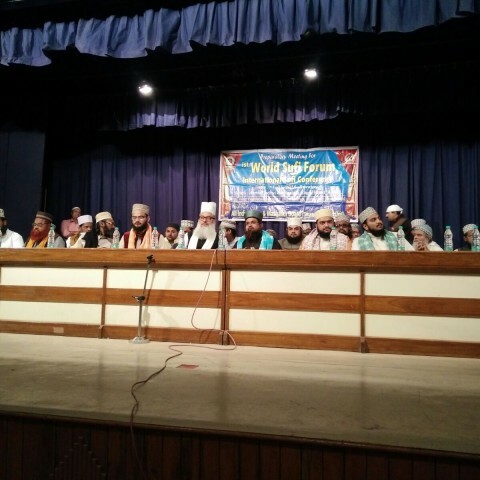 Shortly after four Kalyan-based young Muslims joined the Daesh in May 2014, India’s largest modern Islamic institute, Anjuman-e-Islam, joined the ideological war against the ISIS. It has launched an anti-terrorism course for more than one lakh students at its 98 branches and campuses spread across Maharashtra. According to A.R. Anjaria, the head of Islamic Defence Cyber Cell in Mumbai, Anjuman teachers closely monitor students in secondary, graduate and post-graduate courses, noticing their behavioural changes. They immediately report to the Anjuman management and the student’s guardians if they find even a slight hint of radicalisation. Notably, the first Islamic curriculum on peace and counter-terrorism has been developed by the Minhaj-ul-Quran International, under the guidance of its founder Muhammed Tahir-ul-Qadri, a prominent Pakistani Sufi leader. It contains the main theological discourses challenging dangerous radical doctrines with extensive quotations from Quran, hadith and other Islamic texts and resources. Categorised into several volumes, it is separately meant for young Muslim students, imams, clerics and teachers, although much of the material overlaps. 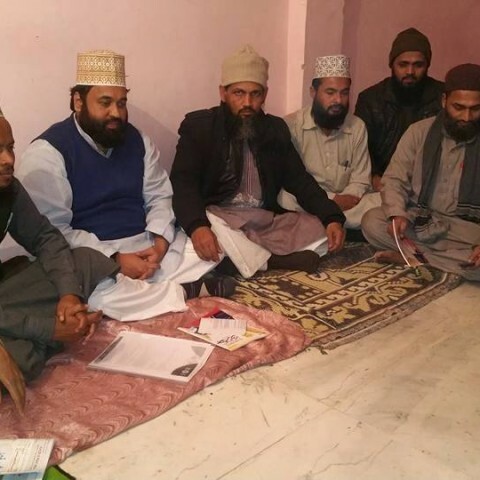 Similarly, India’s leading Barelvi madrasa, Jamia Rizvia Manzar-e-Islam, has launched a course on de-radicalisation titled “Islam and Terrorism”. According to the madrasa rector, it is aimed at teaching students a tolerant Islam. A word of caution, however. 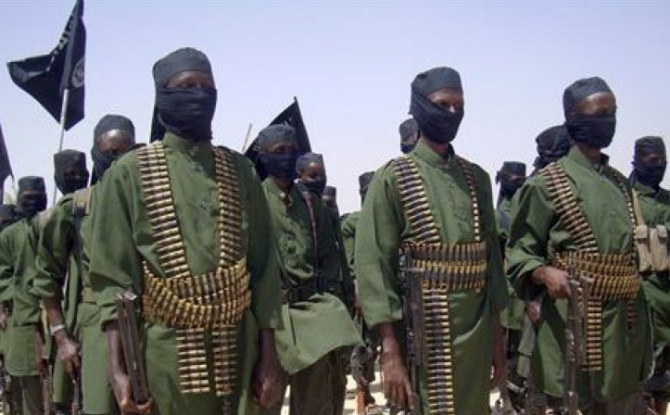 Muslim clerics must be wary of their approach towards countering violent extremism. If they are declaring the terrorists “kafirs” (infidels), they are also, inadvertently, replicating their ways. Kharijites declare all those who don’t believe in their vile ideology as kafir and mushrik (infidel and polytheist) and, hence, slaughter them. By merely proclaiming that all the jihadist volunteers are kafir and murtad (apostates) and hence not Muslims, they are not on the right track to stem the tide of modern Kharijite extremism. Neo-Kharjism can only be eliminated by completely shunning Takfirism. Prophet Muhammad (pbuh) also warned against Takfirism: “Do not revert to takfir after me by cutting one another’s necks” (Sahih al-Bukhari). This was exhorted by the Prophet in his last sermon in Mecca. He warned that Takfir is a grave fitnah (sedition) that has to be defeated by people of all times. Today, this fitnah has risen again, on a global scale. So this highly radicalised indoctrination of Islamism has to be countered and controlled by educating Muslims about non-Takfirism. Kharijism is extremely rigid in its interpretation of Islam and, therefore, turns into violent extremism anytime, anywhere. But the question is why this obnoxious ideology is attractive today to some Muslims. What are the nefarious political motives behind this “religious” mindset? Why are holy scriptures of peace, like the Quran, being misused to justify violence by the neo-Kharijites? It’s time we start looking for concrete answers to these questions. Kharjism is based on Takfirism — declaring all others, that is non-Muslims, kafir (infidel). Faith-inspired terror in Islam began with the rise of Kharjism. Ibn Kathir and Tabri, the two earliest authorities on Islamic history, tell how Kharijites peddled hatred, intimidation, violence and terror. The early Kharijites terrorised civilians in Nahrawan, a part of Iraq then, because they did not accept their coercive creed. Whoever, Muslim or non-Muslim, went against the Kharijite puritanical understanding of Islam, had his/her throat slit. Walking in the same “puritanical” footsteps of Kharijites, the present-day jihadists have declared all those who differ from or even doubt their desiccated faith as mubah al-dam (whose blood can be shed) and wajib-ul-qatl (whose killing is mandatory). Thus, the ISIS, Al Qaeda, Boko Haram, TTP and all other jihadist outfits strictly subscribe to the puritanical, radical Kharjism. Abu Bakr al-Baghdadi’s order to kill all those who celebrated Id last year was no different from the Kharijite ideologue Ibn Abd al-Wahhab’s fatwa that whosoever celebrates any cultural or religious festival “should be killed, their wives and daughters violated, and their possessions confiscated”. There is no difference between Kharjism and modern-day jihadism. The silence of a large number of Muslim leaders on the historical nexus between violent extremism and Kharjism, the first radical movement in Islam, is surprising. Very few Islamic clerics or heads of Muslim seminaries have, so far, identified the relation between extremism and the misreading of Islamic scriptures. As a result, Kharijism-inspired extremism is now spinning out of control. The entire Muslim community, and especially moderates, need to rethink their strategy to defeat the vindictive Kharijite-Talibani ideology. They could begin by asking why it is still being taught in Pakistan’s Wahhabi seminaries, despite the serious threat it poses. More noticeable development in the community is that a number of Indian madrasas are beginning to counsel their students against the vices of extremist groups like the ISIS and Taliban. 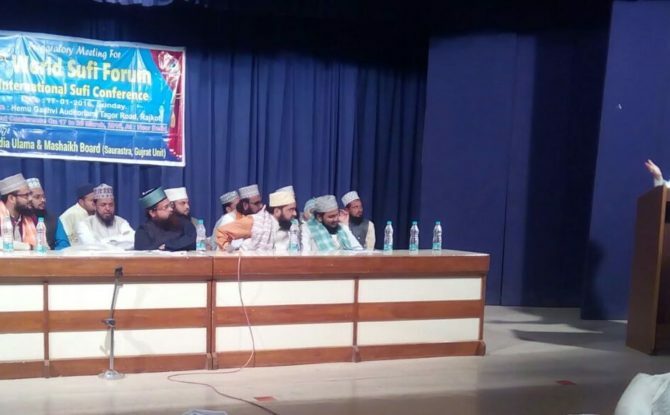 Shortly after four Kalyan-based young Muslims joined the Daesh in May 2014, India’s largest modern Islamic institute, Anjuman-e-Islam, joined the ideological war against the ISIS. It has launched an anti-terrorism course for more than one lakh students at its 98 branches and campuses spread across Maharashtra. According to A.R. Anjaria, the head of Islamic Defence Cyber Cell in Mumbai, Anjuman teachers closely monitor students in secondary, graduate and post-graduate courses, noticing their behavioural changes. They immediately report to the Anjuman management and the student’s guardians if they find even a slight hint of radicalisation. Notably, the first Islamic curriculum on peace and counter-terrorism has been developed by the Minhaj-ul-Quran International, under the guidance of its founder Muhammed Tahir-ul-Qadri, a prominent Pakistani Sufi leader. It contains the main theological discourses challenging dangerous radical doctrines with extensive quotations from Quran, hadith and other Islamic texts and resources. Categorised into several volumes, it is separately meant for young Muslim students, imams, clerics and teachers, although much of the material overlaps. 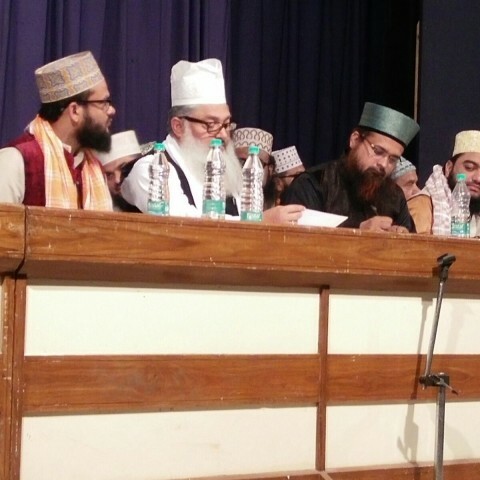 Similarly, India’s leading Barelvi madrasa, Jamia Rizvia Manzar-e-Islam, has launched a course on de-radicalisation titled “Islam and Terrorism”. According to the madrasa rector, it is aimed at teaching students a tolerant Islam. A word of caution, however. 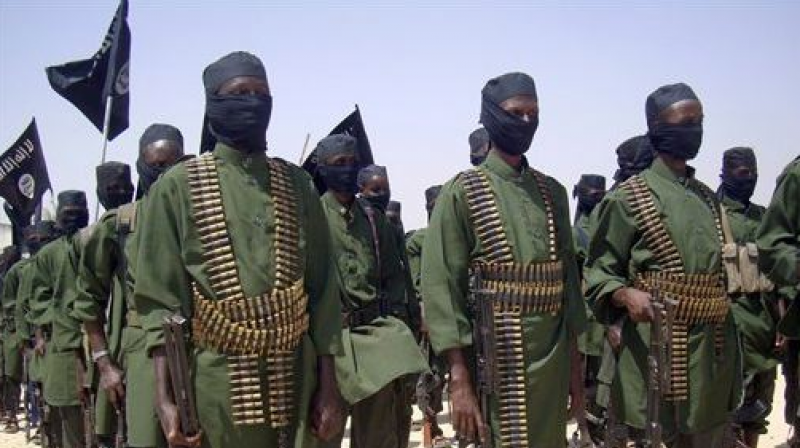 Muslim clerics must be wary of their approach towards countering violent extremism. If they are declaring the terrorists “kafirs” (infidels), they are also, inadvertently, replicating their ways. Kharijites declare all those who don’t believe in their vile ideology as kafir and mushrik (infidel and polytheist) and, hence, slaughter them. By merely proclaiming that all the jihadist volunteers are kafir and murtad (apostates) and hence not Muslims, they are not on the right track to stem the tide of modern Kharijite extremism. The terror raids at Bacha Khan University in Pakistan were absolutely pathetic. 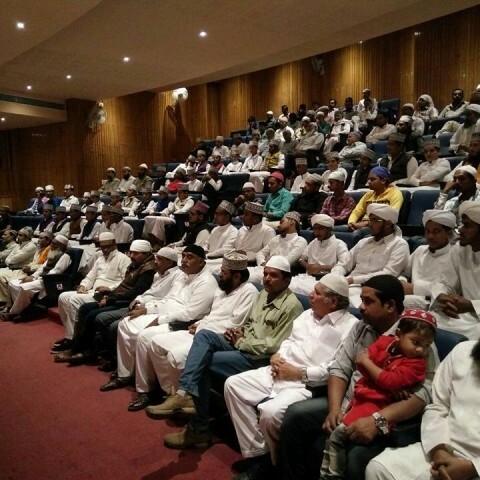 It buttressed the point that the mindless Talibani fanatics cannot bear to have Pakistani Muslims educated. But the moderate, pluralistic and forward-looking elements of any society, Muslim and non-Muslim alike, cannot remain silent onlookers at the religious extremists who murder and maim non-combatant civilians including women, children and innocent students. Against the backdrop of this brutality, it is high time we take cognisance of the extremist ideology that the Taliban and its entire jihadist ilk adhere to. Throughout the Islamic history, the Kharjism-inspired doctrines provided the religious and ideological underpinnings to enable radical Islamist movements to take up arms against the non-combatant civilians. While most non-Muslim governments are able to reconcile with the mainstream moderate Muslims, Kharijite extremists reject any kind of reconciliation, and are hell-bent on exclusion of all other religious communities and faith traditions. 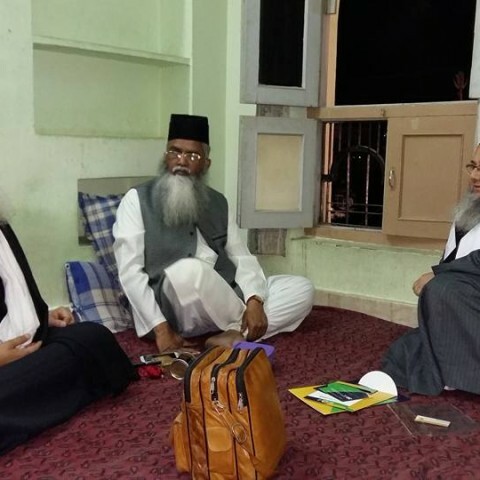 In their crazy bid to fulfil their self-styled duties of Dawah and Irshad’ (preaching and proselytising) andAmr Bil Maruf Wa Nahy Anil Munkar (enjoining good and forbidding evil), they easily resort to armed struggle. Regrettably, there has been a violent tide of religious fanaticism across the Muslim world, which often comes out to play havoc across the globe. It is directly inspired by the Khariji ideology, which is completely antithetical to the mainstream spiritual narrative of Islam. The Khariji ideology is built on the concept of political enforcement of religious beliefs and thus allows aggression and violence in matters of faith. Much against this idea, the traditional Islam considers faith as a personal relationship between man and God. Therefore, in this spiritual belief, there can be no compulsion or force used in religion. From the time of the Prophet Muhammad (saw), peace and tolerance were practiced between different religious groups, with respect to distinctions in belief. However, many of us are turning a blind eye to a vicious stimulus of the xenophobia against all other religions and nations. This is the major cause of the atrocities of ISIS or other extremist followers of Islam today which rely on brazenly un-Islamic doctrines. Nearly all world religious leaders and governments have shown vital support to the innocent Pakistani civilians in this troubling time. But the question still remains to be answered: will they again restrict themselves to their verbal outrage against the Tehrik-e-Taliban Pakistan as usual? Is merely condemning the culprits sufficient enough? Never, every condemnation, however vehement or spirited, will remain futile, unless they crush down the ideologies of terror. It is an opportune time for them to uproot the extremist roots that the Taliban and its entire jihadist ilk have. 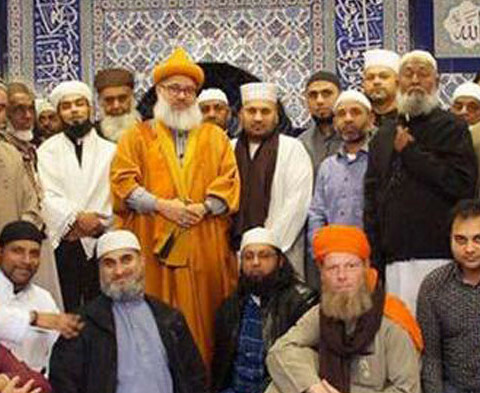 Surprisingly enough, a large part of the world is still purportedly oblivious to the ideological factor, while a considerable number of the Islamic scholars, spiritual masters and heads of global Islamic seminaries have identified the nexus between extremism and the misreading of Qur’an and Hadith (the primary Islamic scriptures). 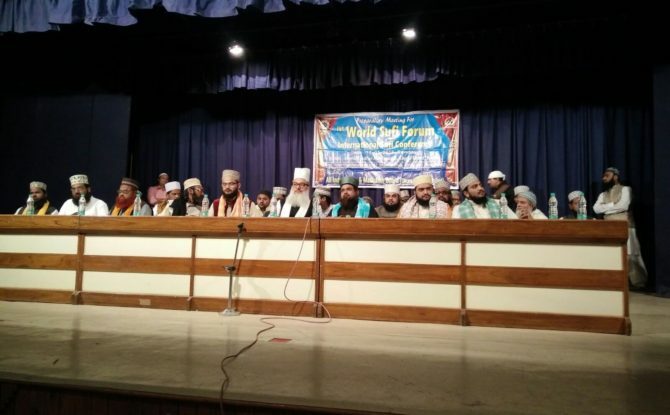 Notably, an apex body of Sufi Sunni Muslims in India, All India Ulama and Mashaikh Board (AIUMB) has mustered the courage to raise this prime concern. 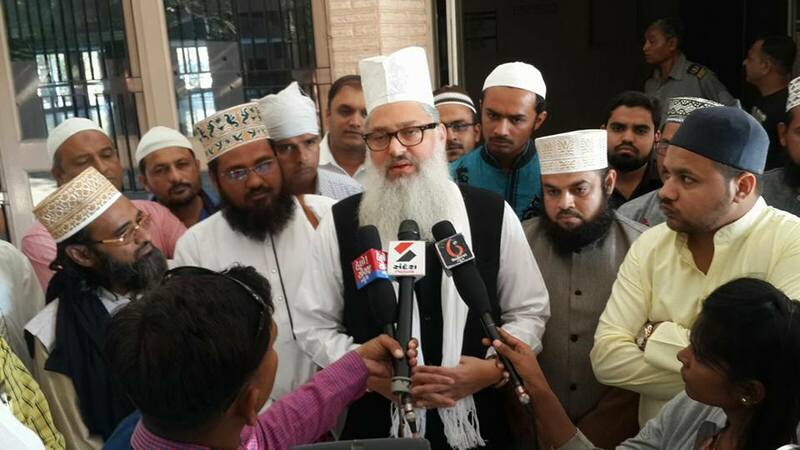 While denouncing the recent brutal attacks in Pakistan, AIUMB founder-president, Syed Muhammad Ashraf Kichuachwi said, “The attacks in Pakistan should serve as a wake-up call for the entire international Muslim community to rethink their strategy to defeat the vindictive Talibani thoughts, which remain a threat to all the liberal fraternity”. Syed Muhammad Ashraf averred that the recently perpetrated killing of Pakistan university students was a direct result of Talibani radicalisation catching the imagination of the gullible and naive Muslim youth in the country. Clearly, the extremist ideology is now spinning out of control. A violent mindset motivated by a dangerous ideology of intolerance and wanton killing is exponentially growing. 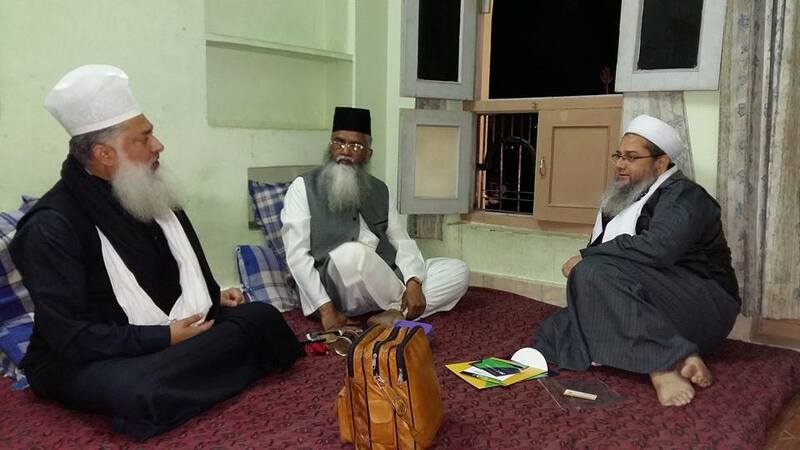 At a time when the subject of radical Islamism or Kharijism has been wholly unnoticed or undermined, the Sufi clerical circles have challenged it, that too boldly and objectively. 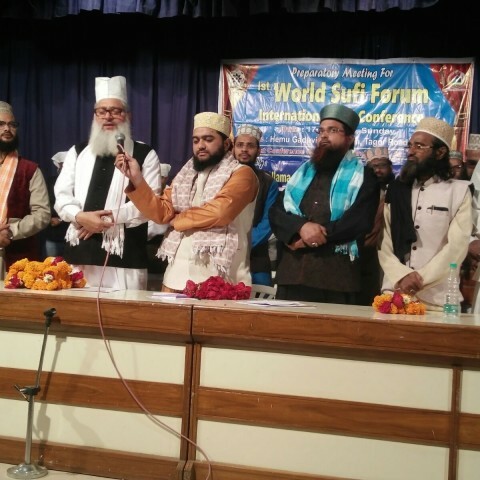 A considerable number of Islamic clerics, Ulama and Imams, particularly those with Sufi orientation, have come out to rebut the terrorist ideology immersed in misinterpretation of Islamic history and theology. 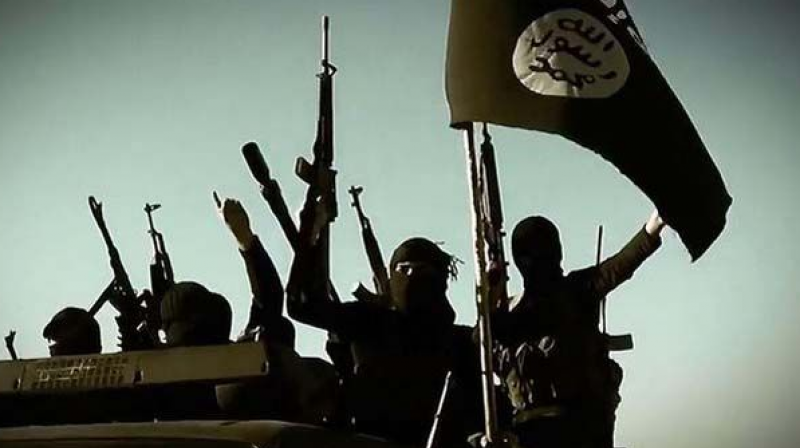 The topmost Islamic university today, Al-Azhar’s chancellor Shaikh Ahmad Al-Tayyab’s categorical admission of link between violence and the extremist theology at a counter-terrorism summit in Mecca is a strong case in point. 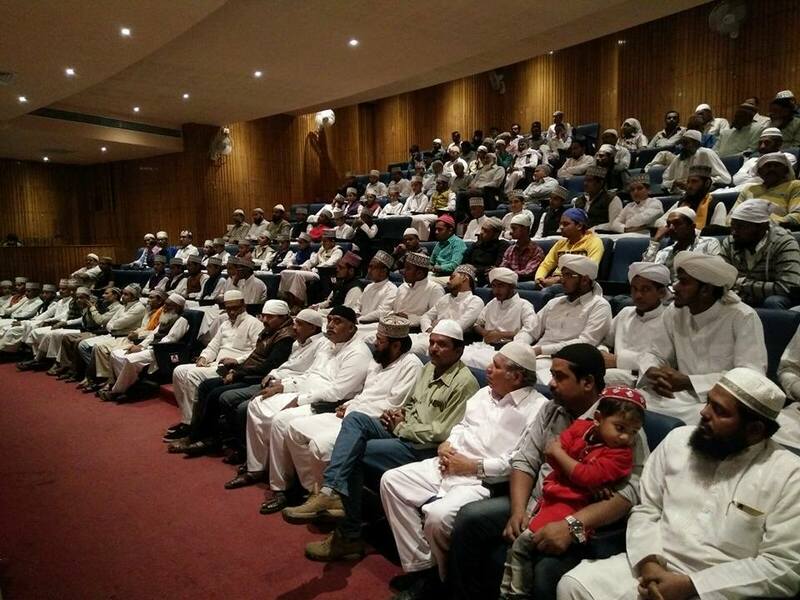 Growing radicalisation in mosques and terrorists’ recruitments on social media is a common knowledge now. Seductive messages, in the false grab of Islamic doctrines, have caught the imagination of the Muslim youths in US, Europe and even the in Indian subcontinent. 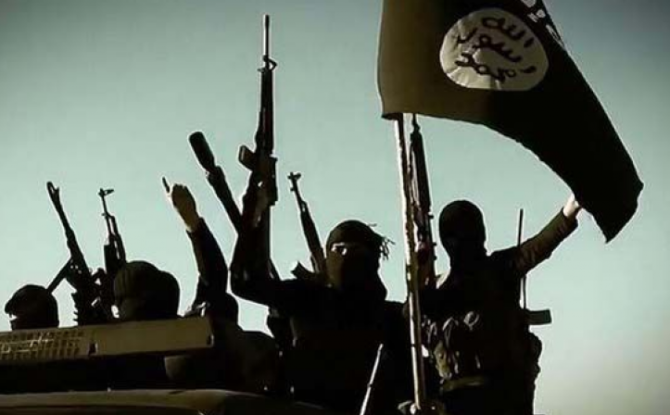 Inspired by the neo-Kharijite extremist ideology, jihadists in thousands travel to the Middle East, particularly in Iraq and Syria, for terrorist training that sometimes brings the cancer of extremism back home. Besides, we have a cyber threat against pluralism, democracy and diversity. Given this, there is a pressing need for a categorical and collective clerical effort to counter thetheology of slaughtering innocent children, wantonly killing women and even Muslims offering prayers in the mosques. We cannot accept any religious justification for the horrendous killing of innocent and non-combatant civilians whatever the motive, whatever the method or wherever the reason. Action-reaction theory is run of the mill. If Muslims are really concerned about war on terror, every narrative of victimhood, denial and conspiracy theories should be deconstructed and dismantled. 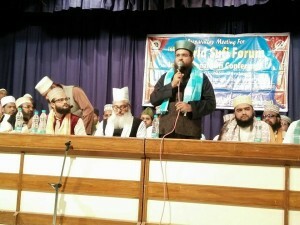 World Sufi Forum meeting in haimo gadwi hall Rajkot. Organised by AIUMB Sawrashtra Unit. The Gujarat-based branch of All India Ulama & Mashaikh Board organized a meet in Saurashtra (Gujarat) in preparation for the World Sufi Forum. The founder and president of the board, Syed Mohammad Ashraf Kichhouchhwi said: “It is the need of the hour that we spread the right knowledge of Sufism. There must be a clear distinction between the Muslims who promote peace and those who harbor the extremist tendencies”. Syed Mohammad Ashraf Kichhouchhwi further said that one should not judge people by the similarities of clothes and the same outward behavior and apparent theory and beliefs. “Right from the Holy Prophet’s times, there have been hypocrites among the Muslims. Therefore, the holy Prophet Muhammad (saw) had to expel those who harbored hypocrisy in their hearts. 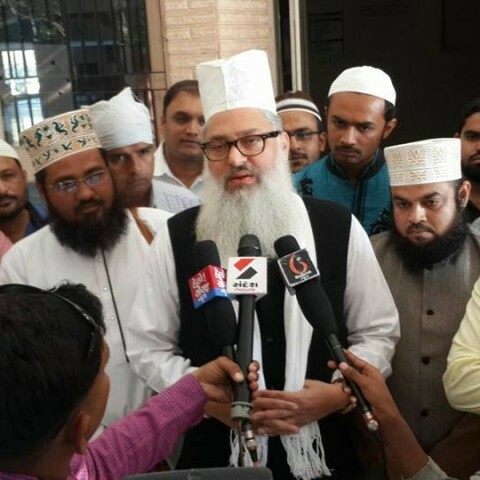 Apparently, they looked absolutely like other Muslims but they used to make mockery of the teachings of the Prophet Muhammad (peace be upon him)”, said Syed Mohammad Ashraf. He added saying that it is clear from the above Prophetic tradition that the present-day Muslims should also identify those who peddle hatred and nurture hypocrisy against the real teachings of Islam and thus should be far away from them. “They should keep themselves as well as other people abreast of their impending dangers”, he said. 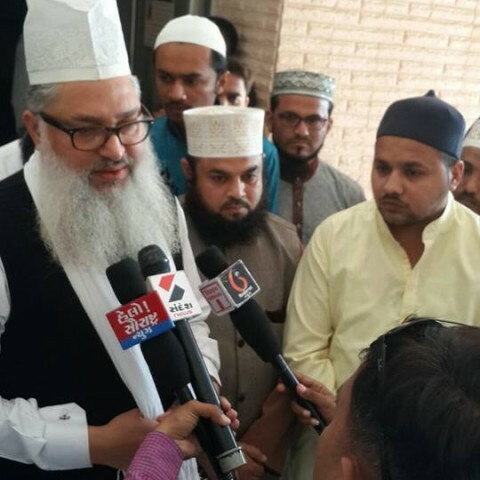 Talking to the media correspondents, President of AIUMB Maharashtra Unit, Syed Alamgir Ashraf referred to the historical background of the extremist ideology that created all the doubts and skepticism in Islam and is continually trying to spread the chaos and mayhem in the same way. Syed Alamgir Ashraf added saying that “Muslim Khulafaa (Caliphs) of all times witnessed this dangerous radical ideology. Though it kept changing its names and grabs, it remained unchanged and rigid in its ulterior motives. In the caliphate era of Hazrat Ali (r.a), the proponents of this extremist ideology started killing people with the help of a strong army. Two centuries ago, a man was born in Najd named Ibn Abdul Wahhab carrying the same thought and theory. That is precisely why the modern Kharijite is known as “Wahhabism”. He continued: Wahhabi thought had its source in the extremist teachings of Islamist scholars like Ibn Abdul Wahhab. It is still creating the doubts and suspicions about the peaceful tradition of Islam in entire the world today. The Wahhabi trade is flourishing in the shadow of politics. Daesh and its sister organizations which are known as the neo-karijites are actually the military branches of this Islamist thought. 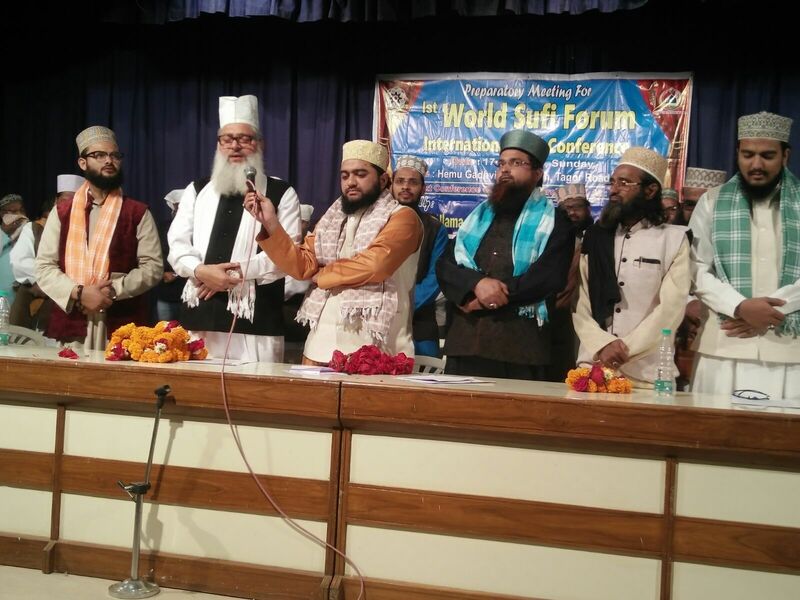 The Office Secretary of All India Ulama and Mashaikh Board Maulana Abdul Moid Azhari shed light on the chief aims and goals of the international Sufi conference titled “World Sufi Forum” which is going to be held in March, highlighting the relevance of India and Indian Sufi Muslims in the global outlook. 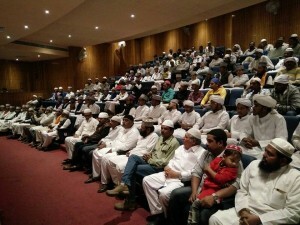 He said that Muslims around the world have special hopes and expectations from the Indian Muslims. “It’s about time for them to express their position openly. It’s time Sufi scholars, intellectuals, social workers and other professionals responsible for other departments create awareness and sense of responsibility combined with activism”, he said. AIUMB Gujarat Unit Chief Ghulam Syed lauded the move and said that it was eagerly awaited for a long time. “We people in the Muslim community were suffering from anxiety and a strange pain. 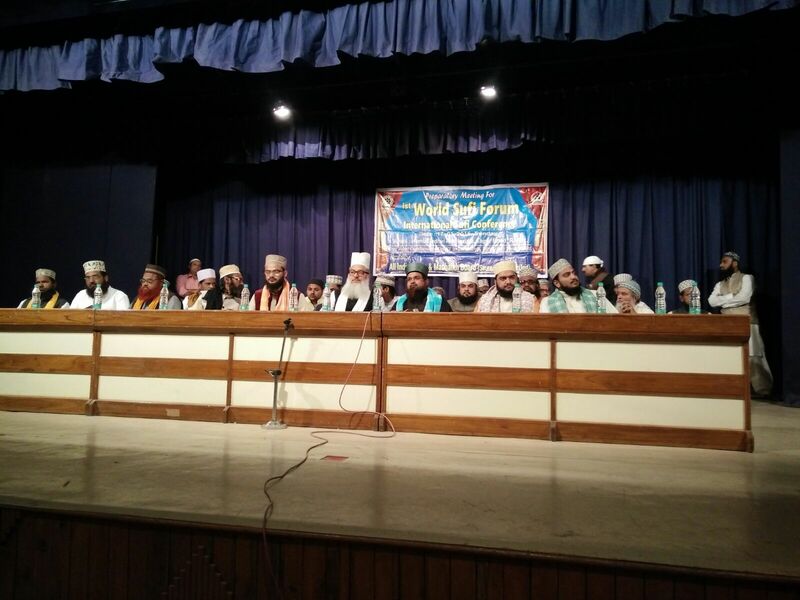 But All India Ulama & Mashaikh Board has created a noble platform for the religious scholars in India who can now brainstorm the satisfactory ways to resolve the concerning issues”, he said. 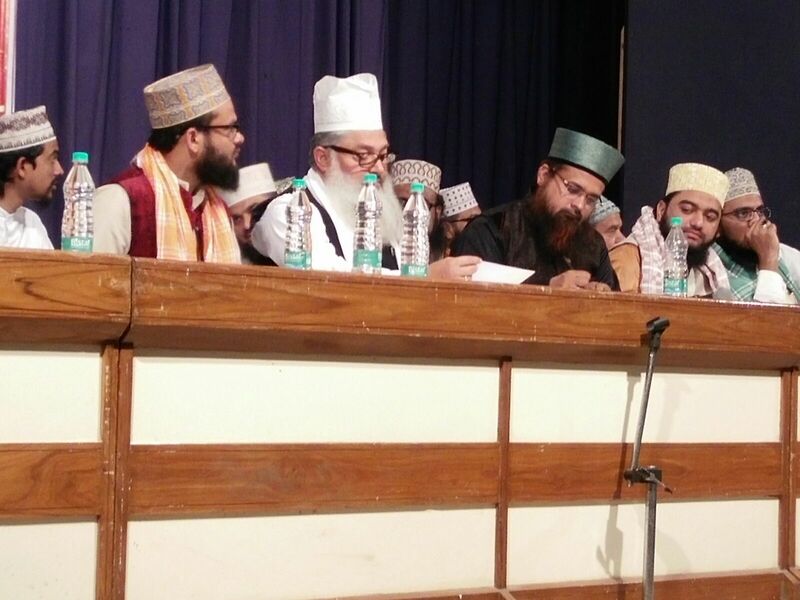 The meeting started with the recitation of the holy Quran and Naat along with the prayer of peace and Durud Shareef. 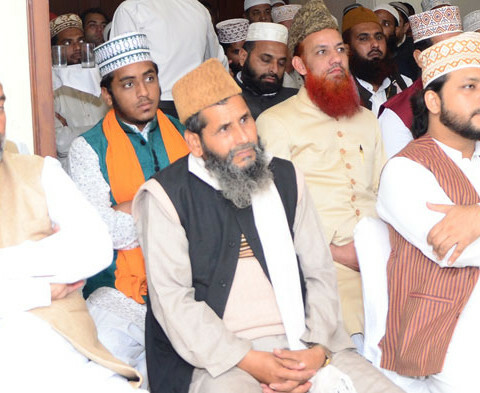 This is not the first time when the emotions of Muslims are exploited to make changes in political scene.It has become a custom in certain classes and individuals like Kamal Tiwari have voluntarily taken the responsibility to hurl hurt and humiliation on Muslims to fetch certain specific reactions. This is not essential for a religion to disrespect to other religion. 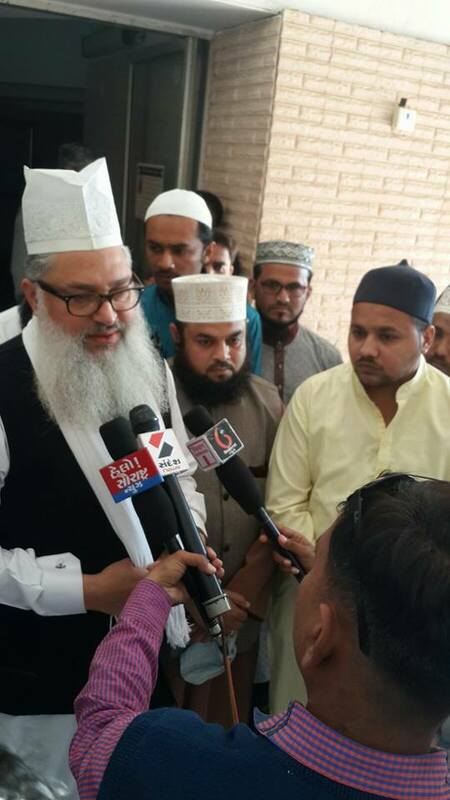 We are against degrading any religion or any religious leader.This was said by Syed Shah Hasan Jamee, National secretary of All India Ulama &Mashaikh Board here today. He said ours is a democratic country.Every citizen has a right to practice his faith freely. The constitution guarantees this freedom.No one is allowed to interfere in religious affairs of others. Any one going against the grain of constitution and attacking any other faith is guilty of violating the law . Apart from this AIUMB is of the view that it is the responsibility of the leaders of other faith to take cognizance against the violators in their own community and make the violator apologize. He said India is a democratic country and every citizen has a right to record his protest whenever his/her rights are violated or some one hurts religious sentiments. He referred to the violence happened in Malda during demonstration against Kamlesh Tiwari and said that it is also advisable to ensure peace during protest. This must not skip our attention that no demonstration turns violent and becomes a source of destruction .The demand of love for prophet always guides us to remain peaceful. Islam never supports violence. We must see through designs of the class which is bent upon doing harm to the social fabric. AIUMB has already protested peacefully in many states in India. Please take it as an example. This is a political gimmick to divert attention from the real problems and this must be understood by followers of all faiths. 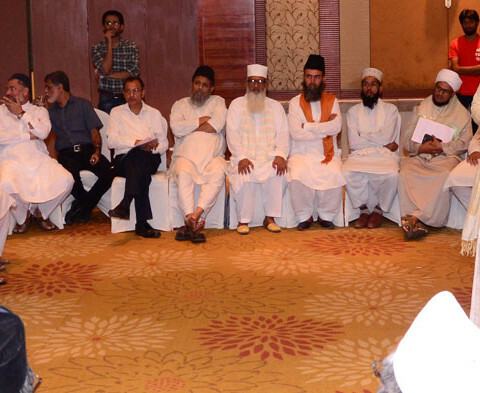 It is also essential to handle the issue jointly with saner members of other faiths. It is essential that members of both the communities sit together to sort out issues among themselves. 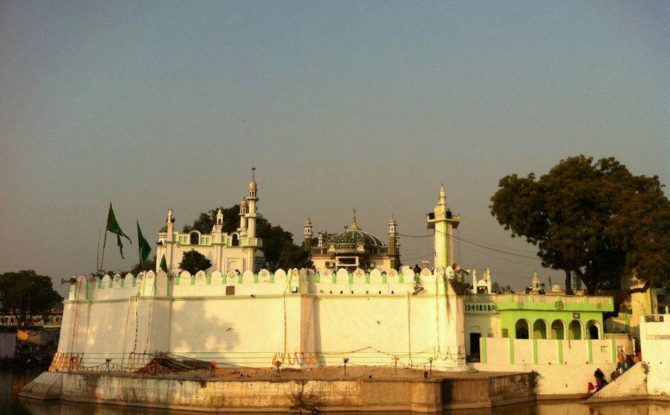 Who Was Makhdoom-e-Pak Hazrat Ashraf Jahangir Simnani (R.A.)? Hazrat Syed Makhdoom Ashraf Jahangir Simnani (1287–1386 CE) was a revered Indian Sufi of Persian origin and an ardent follower of Shaikh-e-Akbar Ibn al-Arabi. He was particularly imbued with Ibn al-Arabi’s spiritual doctrine of Wadhat-ul Wujud (Unity of Existence). Blessed with the 14 different chains of Sufism, he rendered remarkable services to the development of Chishti and Qadiri Sufi orders in India. Makhdoom Ashraf Jahangir was born in Simnan, Iran, in a family descended from the Prophet Muhammad (s.a.w.). After an untiring spiritual journey of a seeker, he eventually settled in India and established his khanqah in what is today’s Ambedkar Nagar district in Uttar Pradesh. He was a disciple of the 13th century eminent Chishti Sufi saint of Bengal Hazrat Alaul Haq Pandavi, the disciple of another prominent Chishti Sufi of Bengal, Khwaja Akhi Siraj Aaina-e-Hind. 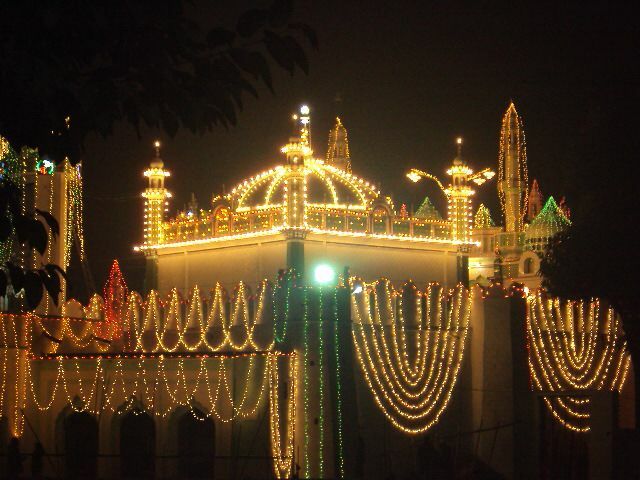 Makhdoom-e-Pak formed his own Sufi order (silsila) through his spiritual disciple Hazrat Syed Shah Abdur Razzaq Nur-ul Ain, the 11th direct descendant of the renowned Sufi Sheikh Abdul Qadir Jilani (r.a). Attributed to the name of Ashraf Jahangir Simnani (r.a), the disciples of his Silsila are called “Ashrafi”. Makhdoom-e-Pakleft behind his spiritual theories and ideas in a book in the Persian language titled Lataif-e-Ashrafi, which essentially means subtleties of Ashraf explaining the anecdotes of Sufism. After I went through a large chunk of the spiritual discourses presented in Lataif-e-Ashrafi, I felt the need to share a very interesting and pertinent discourse that Makhdoom-e-Pakhas delivered with regard to the basic Islamic tenet, Tawheed (monotheism or oneness of God). In this discourse, he sought to deepen his disciples’ understanding of the very first and foremost pillar of Islam, that is, belief in Tawheed. At the very outset, Makhdoom-e-Pak gives a very touching and mystically moving definition of Tawheed, which can be loosely translated as: “Monotheism means annihilation of the lover in attributes of his/her Beloved”. In this context, Makhdoom-e-Pak has aptly quoted Sayyid al-Taifa Hazrat Junaid Baghdadi, one of the most renowned early Persian mystics of Islam and a central figure in the golden chain of many Sufi orders. His quotation on Tawheed goes on as a remarkable Sufi proverb in Arabic, which means “When one develops the true essence of Tawheed, all external forms of belief and ritualistic customs vanish away and the only thing that remains intact is the existence of one and only God, in the same form as it has remained for ages”. Buttressing his perspective on Tawheed as an inclusive, all-embracing and comprehensive term, Makhdoom-e-Pak has described different degrees of Tawheed in detail. He has put it into various categories, mainly (1) tawheed-e imani (oneness in conviction), (2) tawheed-e ilmi (oneness in intellect) and (3) tawheed-e hali (oneness in personal state). He beautifully dwells on each category of Tawheed in a manner imbued with spiritual connotations. “Tawheed-e imani can be explained as an act of the servants of Allah, confirming by heart and verbally acknowledging the uniqueness and individuality of His divine virtues in accordance with the injunctions given in the Quran and Prophetic traditions. “This second degree of Tawheed is attained within oneself; through inner spiritual knowledge. This is also called ilm ul-yaqeen (confirmed knowledge), which is one of the initial stages of Tasawwuf that exhorts one to believe and confirm that there is no existence other than Allah almighty and He is actually the only present and pervading entity. All other personas, virtues and actions are nothing in comparison to His persona, virtues and actions. In this degree of Tawheed, one is supposed to acknowledge the growth of each and every person as a manifestation of the divine persona of Khudawand (God), considering each virtue as reflection of the Absolute Source of all virtues”. “It implies that the haal or state of Tawheed is the most essential virtue of the spiritual practitioners. All darkness of the existence is lost in the light of Tawheed. In this state, one should be overwhelmed by the light of Tawheed in such a way as the stars lose their light in the sun. And at the crack of dawn, its light begins to prevail and gradually overpowers the light of all the stars”. “Having attained this higher culmination of Tawheed, the state or haal of Muwahhid (believer in one God) gets completely lost in the deepest cognition of Wahid (the One and Only), to the extent that he/she sees nothing except the beauties of His zaat (existence) and His sifat(virtues and attributes). In this process, the observer (mushahid) goes to the extent that he begins to consider his own existence as that of the Almighty and his own observation (mushahida) as an attribute of His. Thus, as he gets more and more deeply immersed in the sea of Tawheeed, his existence attains complete synergy with that of the Almighty”. Thus, Makhdum-e-Pak concludes that “a muwahhid (believer) is like a drop in the roaring ocean of Tawheed”. He says: “Tawheed is an ocean and the muwahhid is just a drop in it with no influence, appearance or power of its own”. Hazrat Syed Makhdoom Ashraf Jahangir Simnani (1287–1386 CE) was a revered Indian Sufi of Persian origin and an ardent follower of Shaikh-e-Akbar Ibnal-Arabi. He was particularly imbued with Ibn al-Arabi’s spiritual doctrine of wadhat-ul-wujud (Unity of Existence). Blessed with the 14 different chains of Sufism, he rendered remarkable services to the development of Chishti and Qadiri Sufi orders in India. Makhdoom Ashraf Jahangir was born in Simnan of Iran in 708 (A.H). 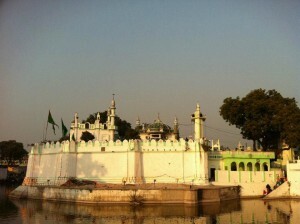 After an untiring spiritual journey of a seeker throughout the Islamic world at that time, he eventually settled in India and established his Khanqah in today’s Ambedkar Nagar of Uttar Pradesh which is known as “Aastana-e-Hazrat Makhdoom Jahangir Simanani”. His family is a descendent of Prophet Muhmmad (pbuh) through the lineage of Imam Hasan (r.a). In spirituality, he was a disciple of the 13th century eminent Chishti Sufi saint of Bengal Hazrat Alaul Haq Pandavi, the disciple of another prominent Chishti Sufi of Bengal Khwaja Akhi Siraj Aaina-e-Hind. 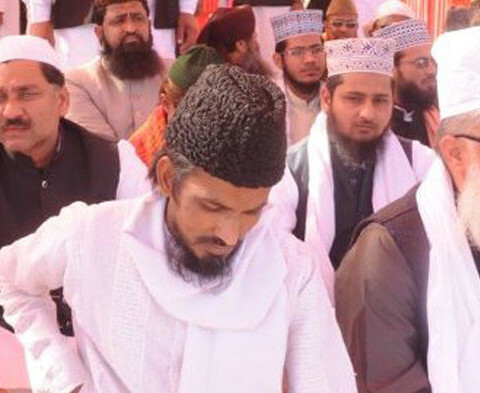 Makhdoom Simnani formed his own Sufi order (silsila) through his spiritual disciple Hazrat Syed Shah Abdur Razzaq Nur-ul-Ain, the 11th direct descendant of the renowned Sufi Sheikh Abdul Qadir Jilani (r.a). Attributed to the name of Ashraf Jahangir Simnani (r.a), the disciples of his Silsilaare called “Ashrafi”. Makhdoom Simnani left behind his spiritual theories and ideas in a book titled “Lataif-e-Ashrafi” which essentially means subtleties of Ashraf explaining the anecdotes of Sufism. In fact, it is a historical document on different glorious dimensions of Sufism that was written and compiled in the 8th Century Hijri. Based on the malfoozat (the spiritual exhortations), it is an unparalleled rendition of Sufi precepts and practices, edicts and narratives. Its originality and authentication stand up to scrutiny because it was written and compiled by Makhdoom Simnani’s most senior and the closest disciple Nizam Yamani. Moreover, it was approved and authenticated by Syed Ashraf Jahangir (r.a) himself. After I went through a large chunk of the spiritual discourses presented in Lataif-e-Ashrafi, I felt the need to share a very interesting and pertinent discourse that Makhdoom Simnani has delivered with regard to the basic Islamic tenet, Tawheed (monotheism or oneness of God). In this discourse, he sought to deepen his disciples’ understanding of the very first and foremost pillar of Islam, that is, belief in Tawheed. In fact, he has adopted and interrelated a Sufi approach to profess and practice this basic Islamic doctrine. It can beloosely translated as: “Monotheism means annihilation of the lover in attributes of his/her beloved”. It means that “when one develops the true essence of Tawheed, all external forms of belief and ritualistic customs vanish away and the only thing that remains intact is the existence of one and only God, in the same form as it has remained for ages”. Buttressing his perspective on ‘Tawheed’ as an inclusive, all-embracing and comprehensive Islamic term, Makhdoom Simnani has described different degrees of Tawheed in detail. He has put it into various categories, mainly (1) tawheede imani (oneness in conviction), (2) tawheed e ilmi (oneness in intellect) and (3) tawheed e hali (oneness in personal state).He beautifully dwells on each category of Tawheed in a manner imbued with spiritual connotations. I am briefly reproducing below the gist of his key reflections on the meanings of each term. “Tawheed e Imani can be explained as an act of the servants of Allah, confirming by heart and verbally acknowledging the uniqueness and individuality of His divine virtues (Sifat-e-Bari) in accordance with the injunctions given in the Quran and Prophetic traditions. Thus, Tawheed e Imani requires deep conviction and confirmation about the holy Prophet (pbuh) and firm belief in the truthfulness of his messages”…… Hence, Sufis and all faithful Muslims should be wary of the fulfilment of this basic requirement of belief”. “This second degree of Tawheed is attained within oneself; through inner spiritual knowledge. This is also called “ilmulyaqeen” (confirmed knowledge) which is one of the initial stages of Tasawwaf that exhorts one to believe and confirm that there is no existence other than Allah almighty and He is actually the only present and pervading entity. All other personas, virtues and actions are nothing in comparison to His persona, virtues and actions. In this degree of Tawheed, one is supposed to acknowledge the growth of each and every person as a manifestation of the divine persona of Khudawand (God) considering each virtue as reflection of the Absolute Source of all virtues”. “It implies that thehaal or state of Tawheed is the most essential virtue of the spiritual practitioners. All darkness of the existence is lost in the light of Tawheed. In this state, one should be overwhelmed by the light of Tawheed in such a way as the stars lose their light in the sun. And at the crack of dawn, its light begins to prevail and gradually overpowers the light of all the stars”. “Having attained this higher culmination of Tawheed, the state or haal of Muwahhid (believer in one God) gets completely lost in the deepest cognition of Wahid (the One and Only), to the extent that he/she sees nothing except the beauties of His zaat (existence) and His sifat (virtues and attributes). In this process, the observer (mushahid) goes to the extent that he begins to consider his own existence as that of the Almighty and his own observation (mushahida) as an attribute of His. Thus, as he gets more and more deeply immersed in the sea of Tawheeed, his existence attains complete synergy with that of the Almighty”. It means that “Tawheed is an ocean and the Muwahhid is just a drop in it with no influence, appearance or power of its own”. It means: Muwahhid is a creditor who cannot repay his debt and he is a poor who cannot fulfil his dues. Makhdum comments on this quotation: “In Tawheed e Hali (oneness in state), what happens to the practitioners is that all customs and symbols perish for him for all the practical purposes”. He gives an example of lightening and says that “just as a flash of light comes for a moment and then it ends immediately, similarly, to a Sufi practitioner, all human customs emerge momentarily and vanish after a very short while. This is the stage where he negates the heresy in its entirety”. In this book, Makhdum Ashraf Jahangir Simnani is often mentioned as “Qudwatul Kubra” (a person looked to by others as a great example to be emulated). Originally, Lataif-e-Ashrafi was written in Persian and was first rendered into Urdu translation (only first 9 chapters) by Hakim Nazar Ashraf, grandfather of Syed Muhammed Madani Ashrafi Al Jeelani. Then, the complete Urdu translation was undertaken by Allama Shams Barelvi, a well-versed Islamic scholar and accomplished translator with profound literary skills in Urdu, Persian and Arabic. The Urdu translation of sizeable Indian Islamic literature from Persian and Arabic goes to his credit. For instance, among his most notable translation works are the Urdu translations of “Mukashaftul Qulub” written by Imam Ghazali and “Madarij an-Nubuwwah” (Stations of Prophethood), a seminal Sufi work by the eminent Islamic scholar Shaikh Abdul Haque Muhaddith Dehlvi. Owing to the failing health of Allama Shams Barelvi, the task of comparing and authenticating the original manuscripts with the earlier translations was assigned to Dr. Khidr Naushahi, a distinguished scholar of Persian language, literature and history with a strong background in Sufi sciences (Uloom-e-Tasawwuf). The book was published under the instruction and supervision of Nadhar Ashraf Shaikh Muhammad HashimRida Ashrafi, former executive director of the Muslim Commercial Bankof Pakistan and Khalifa of Sayyad Mukhtar Ashraf known as Hazrat Sarkar-e-Kalan.